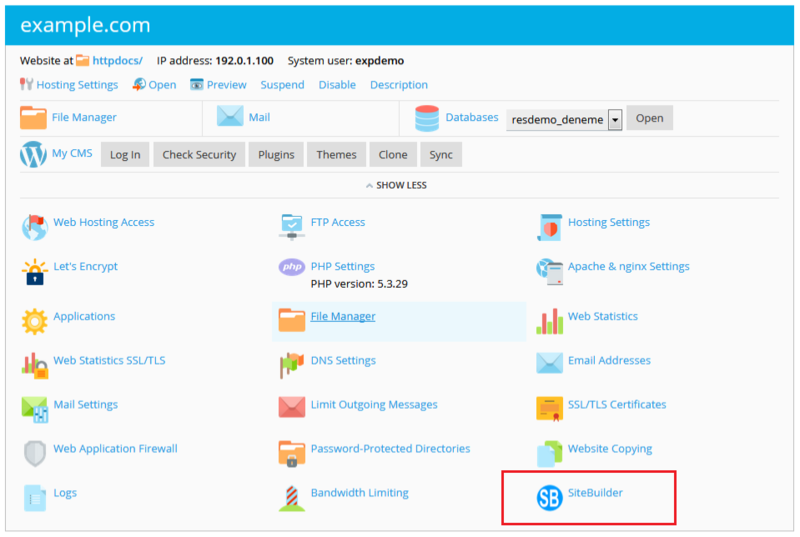 Firstly Login to your Control Panel and click on the SiteBuilder Icon or Link. Once you are on SiteBuilder dashboard. You will see Sites option on Sidebar Navigation Menu. Click on Sites and then Click on Add New Site. Now you will see all the options regarding adding new sites. Add New Site Name for website to be shown on switch site. 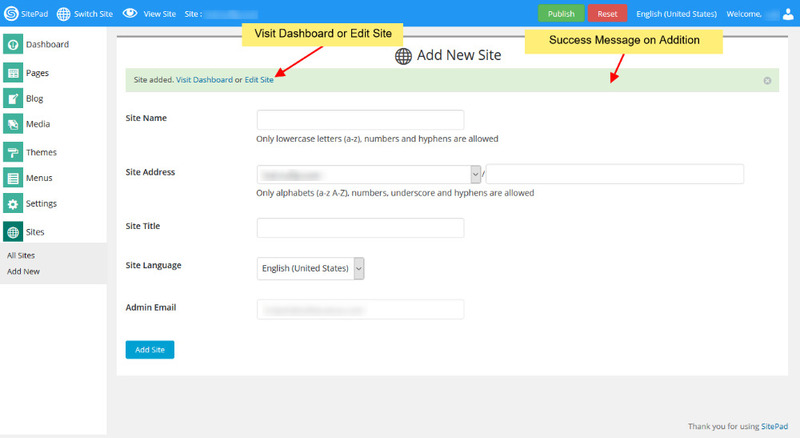 Then enter the New Site Address (select from your domains) and then add new directory. Next you need to Enter Site Title. 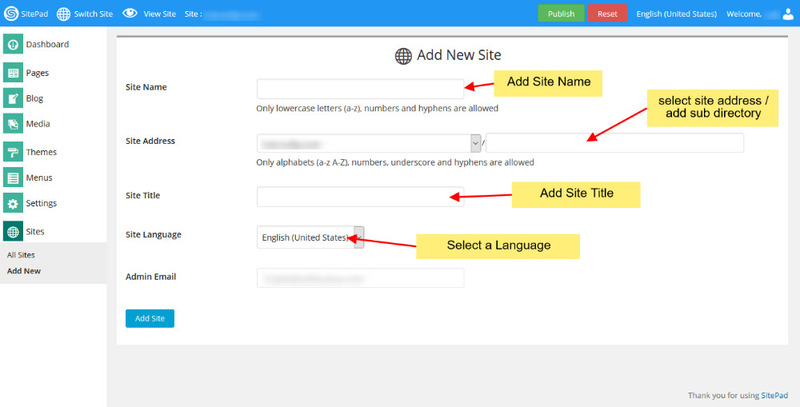 You can also change the language of your new site and select it to your native language. Also if you want you can also add new admin email. 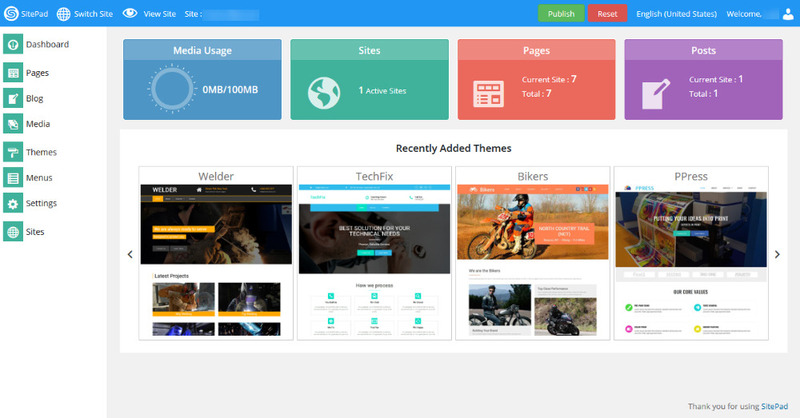 Once the website is added Successfully you will see the success message asking you to visit Dashboard of the new site or Edit newly created Site.